DSA (Deaf Soccer Academy) stands for play football with each other. The circumstances are so created that soccer players with a hearing impairment are at ease, including communication through sign language. Fun is essential. Most guys and girls with a hearing impairment recognize the difficulties associated with clubs with footballers and guidance, because of the communication. 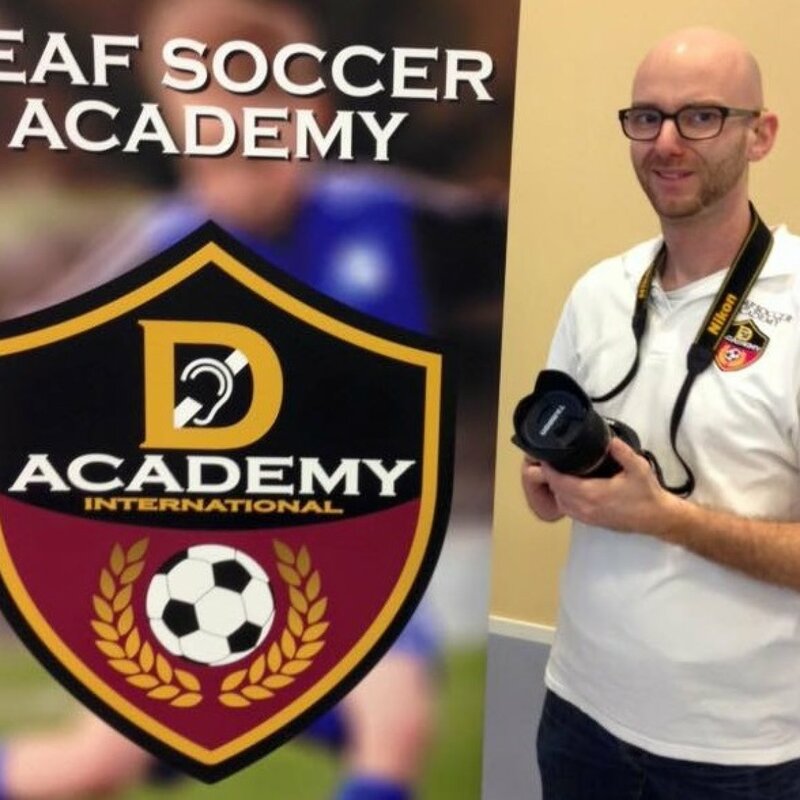 Common negative experiences of deaf players: understanding the instructions and feeling left out. It is important to start from the talents of every person. The talent of footballers with a hearing impairment is often that they are more alert to seeing instead of hearing. Unfortunately this is not always recognized by players and associated guidance. 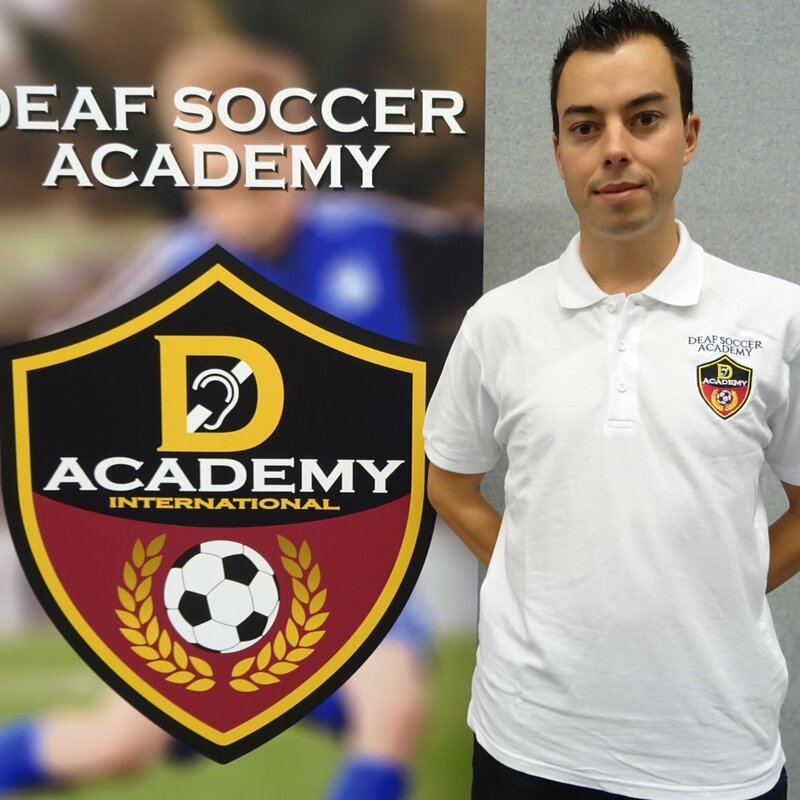 Therefore Deaf Soccer Academy will focus on connecting support for soccer players with a hearing impairment, by qualified trainers who speak sign language. Thereby give children and young people, who are deaf or hard hearing, the same opportunities as hearing footballers can in your current Football League. We provide football training to boys and girls from 7 to 21 years old with a hearing impairment, but adults from 21 and above are also welcome. 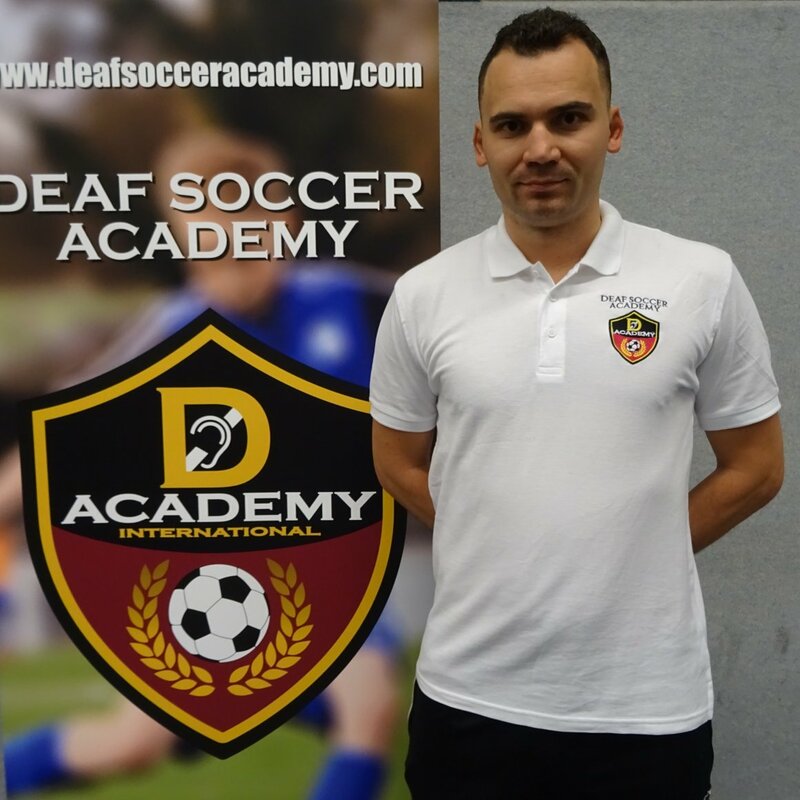 Football school Deaf Soccer Academy is a foundation set up by a footballer, who himself is deaf, Ado Peljto, born in 1982 in the former Yugoslavia. From an early age, he played football with great pleasure and he played in teams in which he played only with hearing teammates. Communication was often difficult for Ado in a hearing team. Yet he has learned a lot and he’s on a high level of football. His experience, however, is that, even though you have a high level, you get few opportunities through internship at paid clubs because trainers experience problems in communicating with deaf players. It is often difficult for trainers and trainers associated groups in how to communicate with a deaf player, as a deaf player gets less additional support, such as additional explanation. That is a great pity, because deaf players have a talent that they often see more and faster anticipate than hearing players. Language can be a barrier in communication, which is not only speaking of the Dutch or English language at a trainer who only speaks these languages. Ado is sure that everyone is equal and should be given the same opportunities to develop into a soccer player at his level. Respect is very important. Ado’s goal is that deaf children should have fun in football and that this sport is also a social activity for them, where they feel at home, both in training and in matches. This is the policy of technical football school Deaf Soccer Academy. The plan is designed to service the general and technical objectives of the football school for deaf people. DSA supports children from 7 to 21 years old and seniors from 21 and above, with a hearing impairment. These children want to improve their football skills and grow to professional footballers, but also want to increase pleasure in this team sport. DSA will train the children individually and as a team. The communication is very important, so sign language skilled trainers are necessary to make this plan work. In addition, DSA supports children with a hearing impairment within their own (hearing) football club, with the purpose to improve their football skills and improve team cohesion. 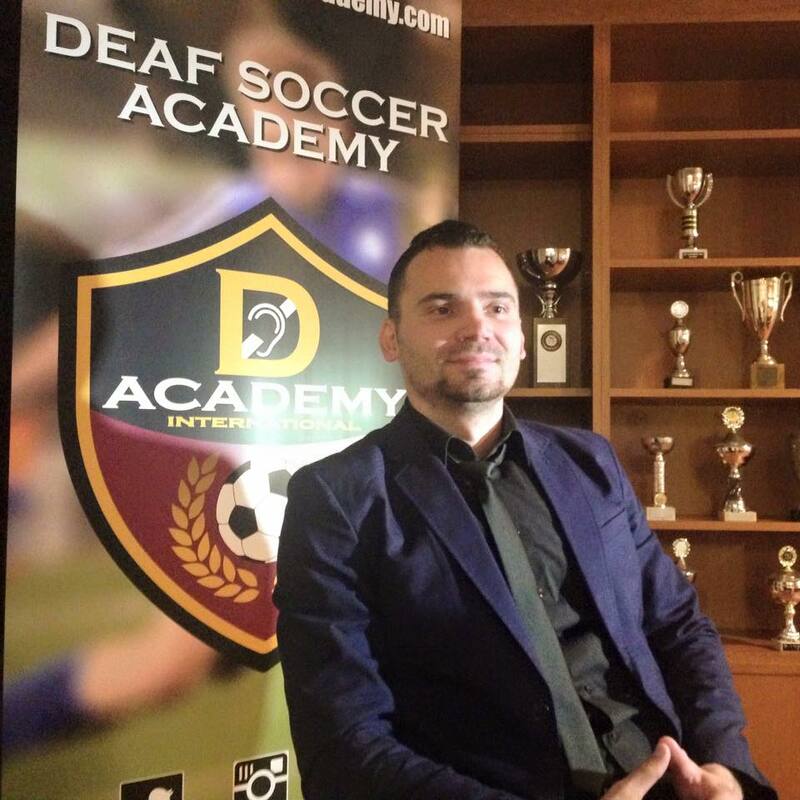 Deaf Soccer Academy is organized by Ado Peljto. With his experience as a football player with hearing loss and a diploma as a Dutch (KNVB) football trainer, he has the skills and experience that will make this project successful. In addition, there are experienced staff / trainers and goalkeepers with experience for all ages. The football players get support from a group of motivated staff and trainers. Our goal is to create a training environment where each child can develop his or her football skills with pleasure and self-confidence. Through football we try to inspire generations for a long time. We do this by learning to co-operate, practice, fail, succeed, let disappointments come true, and last but not least how to enjoy this team sport. Attention to the social aspect of football for youth is also one of our goals. Our service is organized for children and people with a hearing impairment who like to play football with fun and need (extra) support in their environment. "PASSION LEADS TO SOCCER, SOCCER LEADS TO PERFORMANCE, PERFORMANCE LEADS TO SUCCESS!" Do you have a DREAM to become a better footballer? We make that possible! We like to bring you to a higher level in your football practices. We make sure that your (prof) club can play at a higher level by providing support in the communication. We offer individual training and training at group level by experienced trainers who use sign language. A football player/team or club can be supported by our staff / trainers in many ways. 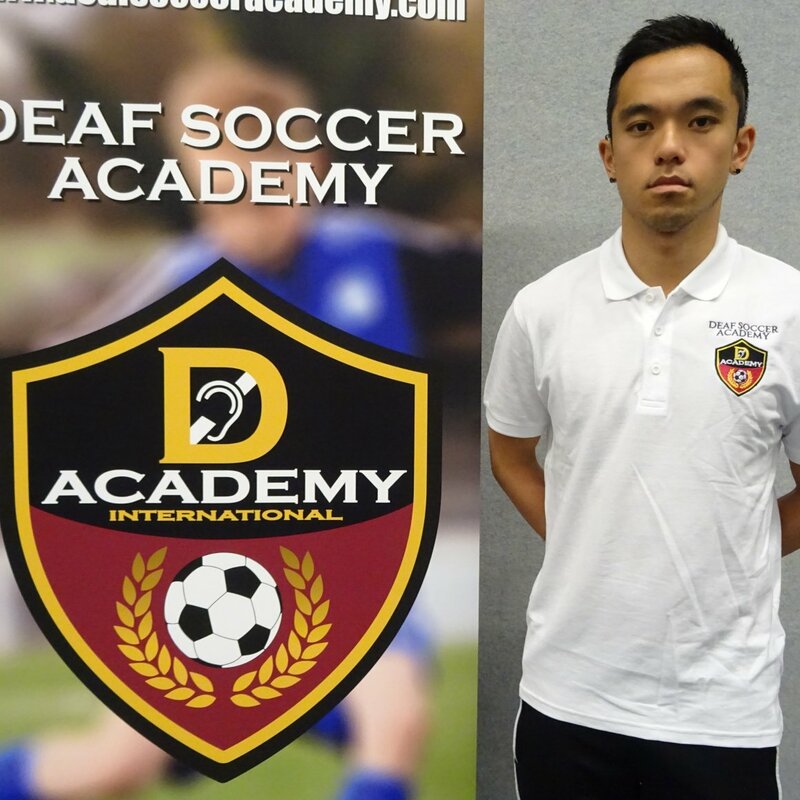 DSA supports the development of soccer players with a hearing impairment, both at their own (hearing) club as within our Deaf Soccer Academy. We support the development of our football players. 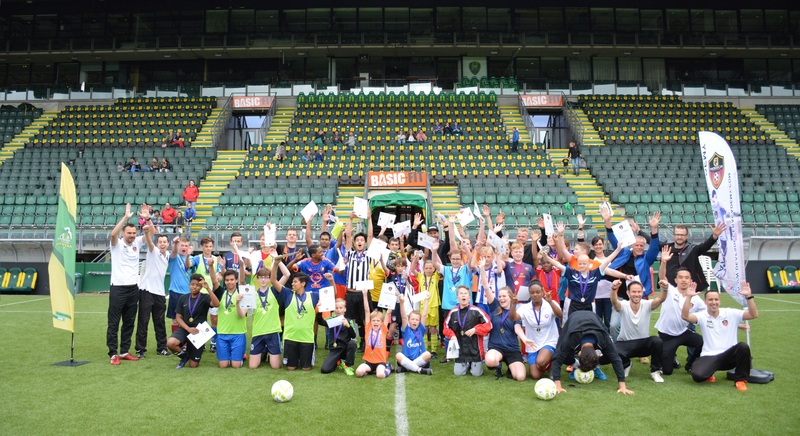 We ensure that all players with a hearing impairment receive good support and we have the ability to continue to support them during their football career. Also, we have professional escorts. Training youth and seniors with specified training objectives per age group is our focus. Youth from 7 to 21 years can train football with us. What do we offer: Balance, technique, insight, communication, working on emotions, teamwork and cohesion, and fun. This also applies to seniors from 21 years and above: Self-confidence, creative and effective football based on good technical skills, playing a good position and a good competitive attitude towards winning matches. Our coaches provide all existing football and futsal training exercises for all age groups. Important that students can learn a lot with more physical, fitness, ball technique, speed, fit, finish, dribble, position, systematic football. This allows our students to use a big variety of training methods, such as on a large-scale field or on a small field, using different training methods in combination with student experiences. We assist with experienced supervisors, who are certified, to improve our support towards our student to the highest level.
" ‘Work hard and you will make it HAPPEN!’"
Our Football Academy demonstrates training methods, allowing experience degrees for all levels of youth and seniors, practiced in football and futsal. We often organize various activities including training with a larger group(s), private group(s) or individual training. We also provide all special groups with deaf and hearing impairments, with international language. This allows them to communicate easily and understand more happily on training. We also organize various activities, weekend training camp, team outing, foot golf, stadium visit, contest watching, tournament, group training and more. An important thing that these players can learn is how to mix and mingle and socialize in other groups. To stimulate experience sharing with each other and of course in having more with fun their practices. Do you want a coach? The coaching course can be completed with DSA education. The course consists of two parts, namely a theory and a practical enrollment. Participation is important; it is a good way of learning and demonstrating your experience, especially when you area starting coach. If you complete the theory and are able to demonstrate it in practice, you will receive a valuable DSA certificate from the diploma coach. After this journey you can develop your experience on a higher level in the UEFA C category. We have special counselors, who give special group(s) e.g. People with mentally/physical disability or with restrictions including all ages. Football is an active motion sports, practicing with a ball in Football asks for extra efforts. Our training methods could be given individually or in group. 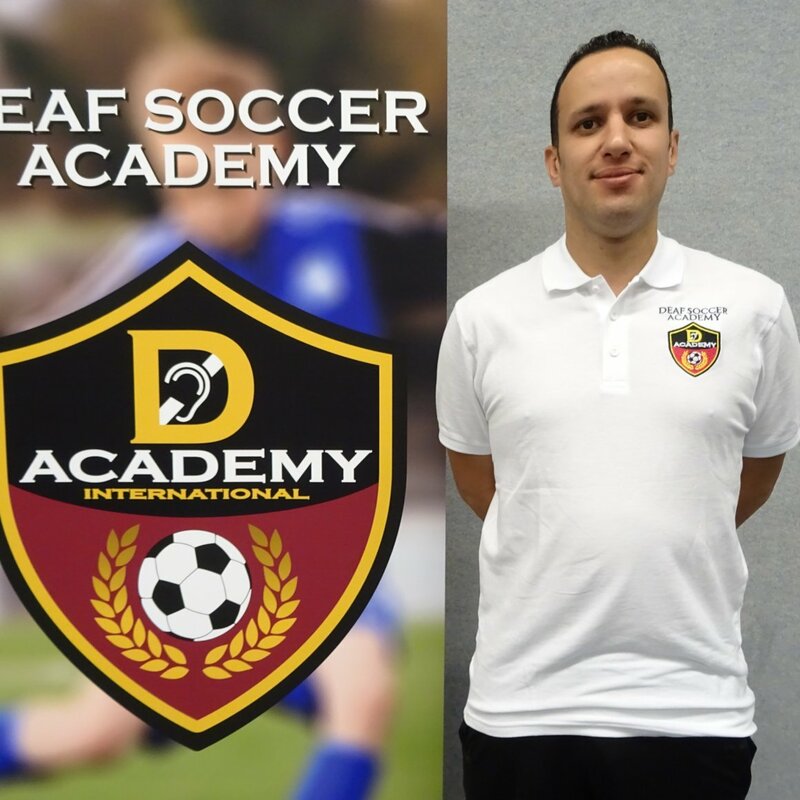 "”Develop yourself, develop your FUTURE!”"
In addition to guiding and training football players, Deaf Soccer Academy also offer possibilities for trial training within our national field-and national futsal team for the deaf and hard hearing students. 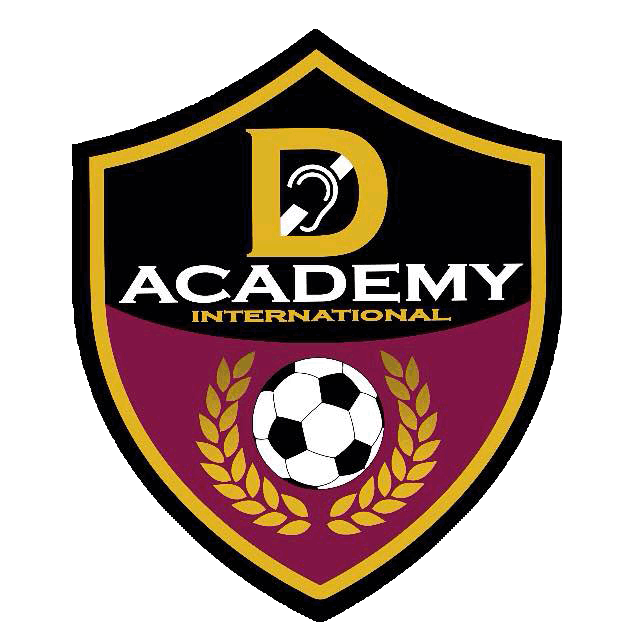 Deaf Soccer Academy supports your national team for future development. After our courses your team has the opportunity to participate in Deaflympics or European Championships or World Cup. The school is given by our experienced supervisors and trainers. Our trainers are experienced experts and / or have a lot of experience in teaching lessons in the field of football. Our football school is versatile in the sense that we can deliver training methods in every possible way. A technical soccer ball for advanced students, under the guidance of a professional coach or experienced football player, or a fun training that teaches the most beautiful experience is one of the possibilities we offer at DSA. Our football school organizes big clinics. This may be for special occasions at your school, football stadium, club or company. We have the experience, ideas, training materials and trainers. All you need is fun. We will use the balls, fields and goals of the respective club. All are provided by our organizer(s) of our football school. At these occasions the children will be very happy with and having fun. After the clinic they will get a nice prize to celebrate their input. The workshop clarifies the importance of attention to deaf young people. Short videos, statements and conversations make the topic negotiable. Participants are provided with handles that enable them to actively accept acceptance within the team. A prior consultation ensures that the content of the workshop is tailored to the specific situation and needs of the team. Afterwards it is possible to get some service support for a period of time. This also applies to giving everyone in your school, event, club or on national level a workshop. We would like to welcome you to contact us for more information and we will be happy to reply.